The Thai junta is unhappy with Thailand’s current economic paradigm and is attempting to shift the fundamental base of the country’s economy. Various branches of the Thai state are attempting to create what is vaguely referred to as ‘Thailand 4.0’ by the government, the ‘next growth phase’ by the Ministry of Finance (MoF), and the ’20 Year Strategy’ or the ‘6–6–4 plan’ by the Ministry of Commerce (MoC). Ten industries are being targeted to shift Thailand up from a middle-income country that produces other country’s’ ideas, to a fully developed country based on innovation and indigenous creativity by 2036. To achieve this, Thailand’s Investment Promotion Act has been ‘reinterpreted’ into the Seven-Year Investment Promotion Strategy. Rather than offer broad incentives, the new approach is an attempt to ‘level up’ the economy into specifically selected sectors that are high-tech, high value-added, and high creativity. But a glance at foreign investment from Japan — Thailand’s biggest investor — reveals this approach may not be working. Japan’s investment in Thailand has historically been rock solid, representing on average 42 per cent of all foreign direct investment (FDI) into the country. Between 1985 and 2016, Japanese investment into Thailand cumulatively totaled Bt2.9 trillion (about US$85 billion), which is more than double US investment — the next biggest investor — which stands at Bt631 billion ($18 billion). However, total FDI in 2016, in addition to the current two quarters of 2017, has dropped to levels last seen in the wake of the Asian financial crisis. Record high figures in 2013 of Bt513 billion ($15.1 billion) dropped to Bt374 billion ($112 billion) as of the second quarter of 2017, largely due to a pulling back of investment by Japan. From Bt310 billion ($9.1 billion) in 2013, Japanese investment in Thailand fell to Bt125 billion ($3.8 billion) in 2017. The two years prior to the 2015 introduction of the military’s Seven-Year Investment Promotion Strategy and the two years after the strategy are markedly different.Hence, there must be some significant factors in Thailand that are spooking foreign investors. These are twofold — domestic and regional.Domestically, Thailand is in trouble. A fragile post-WWII political settlement that has resulted in frequent military coup d’etats, while simultaneously facilitating the papering over of the problem through an increase in national ‘royalism’, is no longer working. Instead, ‘Rama X Day’ has arrived: a homonymic term used in Thailand that conveys both a disaster-themed film title as well as the crowning of the 10th Rama (Thailand’s monarch). Unlike under Bhumibol Adulyadej, Thailand and its networked monarchy of elites will likely unspool as factionalism takes over. This is something that foreign investors have not had to deal with before. Thailand is also currently suffering from an apparent middle-income trap — an issue which is causing Japanese planners grave concern. This problem is being compounded by another issue: demographics. Thailand is one of the fastest aging populations in East Asia — surrounded by youthful populations in the Mekong region — with the United Nations (UN) estimating that its working age population will peak this year. 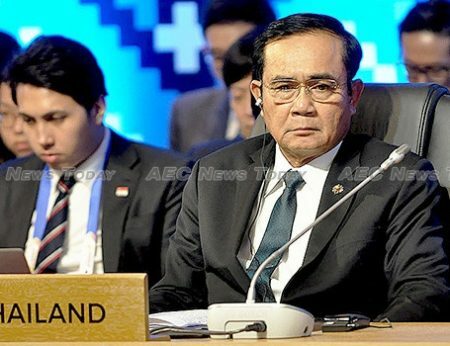 At the regional level, a rising China that represents a threat to Japan’s preference for an open and multilateral Asean is bearing down on Japanese planners and prompting a diffusion of investment away from Thailand. Since 2011–2012, Japanese investment into China has slowed down or declined, while investment in Asean has increased. In 2011 Japanese investment into China stood at $12.6 billion but in 2015 it had shrunk to $8.9 billion; meanwhile, investment into Asean grew from $15.7 billion in 2011 to $20.2 billion by 2015. But this shift of investment does not just benefit Thailand. Japan’s successful liberalizing of Mekong countries around Thailand is facilitating the development of a hub-and-spoke production system that is centered on Thailand, but not necessarily concentrated there. 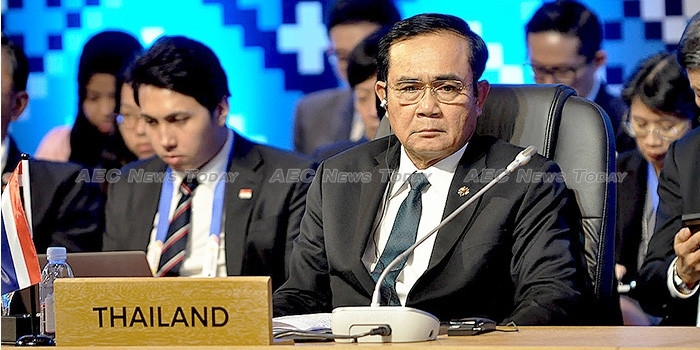 Low- and mid-level production can now be transferred to countries surrounding Thailand, prompting a drop in investment in the country. Japan has also been interested in Myanmar since 2013 when it provided Myanmar with an enormous loan, prompting total official development assistance (ODA) to Myanmar to jump from $93 million in 2012 to $5.3 billion in 2013. This is just slightly under the $5.7 billion of combined Japanese ODA provided to all of Myanmar’s neighbors — Thailand, Cambodia and Laos — for the entire period of 1995–2014. Myanmar’s recent ‘coming in from the cold’ means that Japan’s ‘Thailand+1’ connectivity strategy can be better maximized in the entire Mekong region, not to mention plans that could connect Southeast Asia with South Asia. Thailand is no longer the only secure investment option for Japan in the region, and a strong Myanmar lobby in Japan would likely prefer to see more of Japan’s largesse directed at Yangon rather than Bangkok. Inbound Thailand foreign investment is falling, driven largely by falling investment from Japan, and domestic changes made by the current military junta appear to be making a bad situation worse. This article is written by Ryan Hartley, assistant professor at the International Graduate School of Accounting Policy at Tohoku University, Japan. It first appeared on East Asia Forum under a Creative Commons License and is reproduced here with its permission.